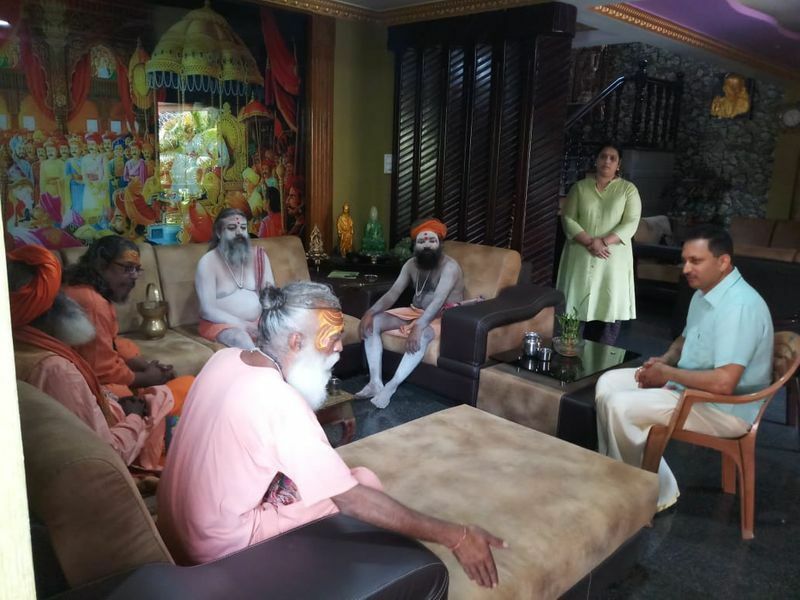 In a surprise visit that is said to be rare and lucky, Mahantha Ramagiri seer, a Naga Sadhu from Uttar Pradesh and his followers visited Hegde's house in Sirsi. They were welcomed by Hegde and his wife Roopa. 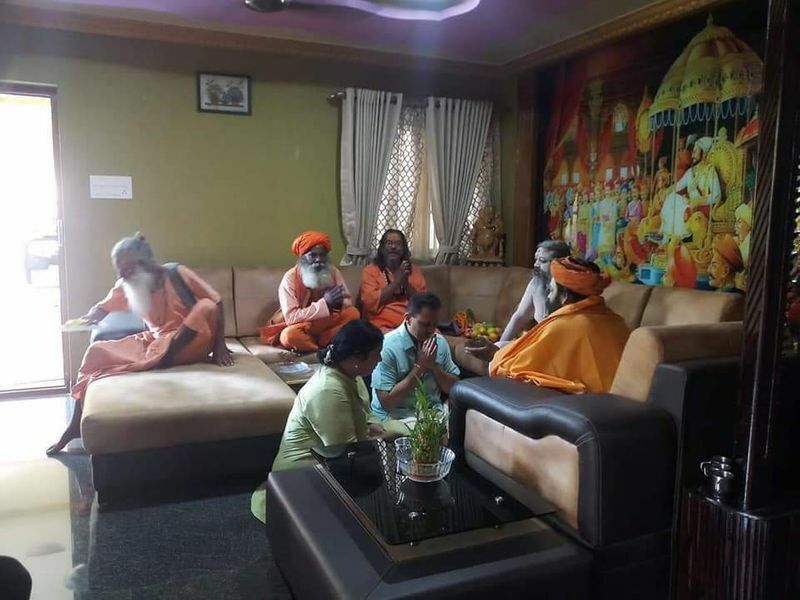 They spent more than 30 minutes at Hegde's house and left after blessing the couple. 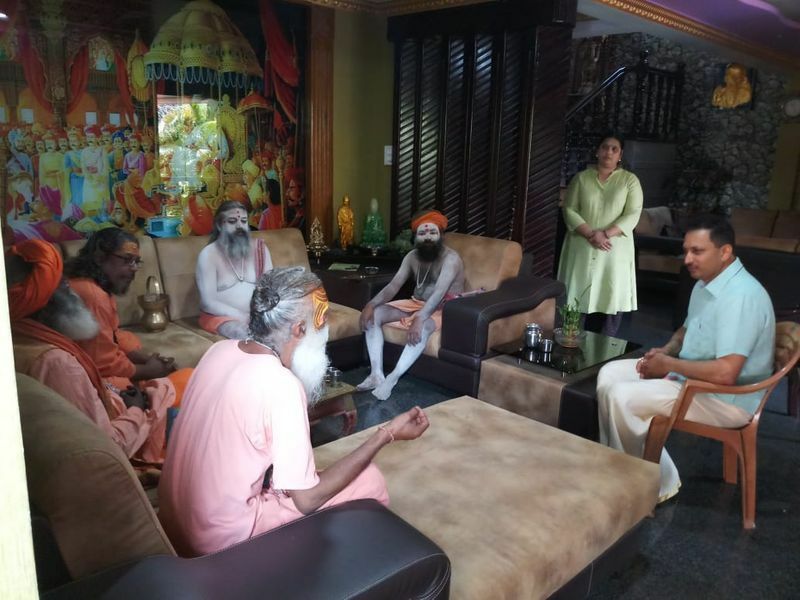 Anant Kumar Hegde is contesting on a BJP ticket from Uttara Kannada Lok Sabha constituency. He is currently the Union minister of state for skill development and entrepreneurship and the sitting MP from Uttara Kannada. Election for Uttara Kannada Lok Sabha seat will be held on April 23.